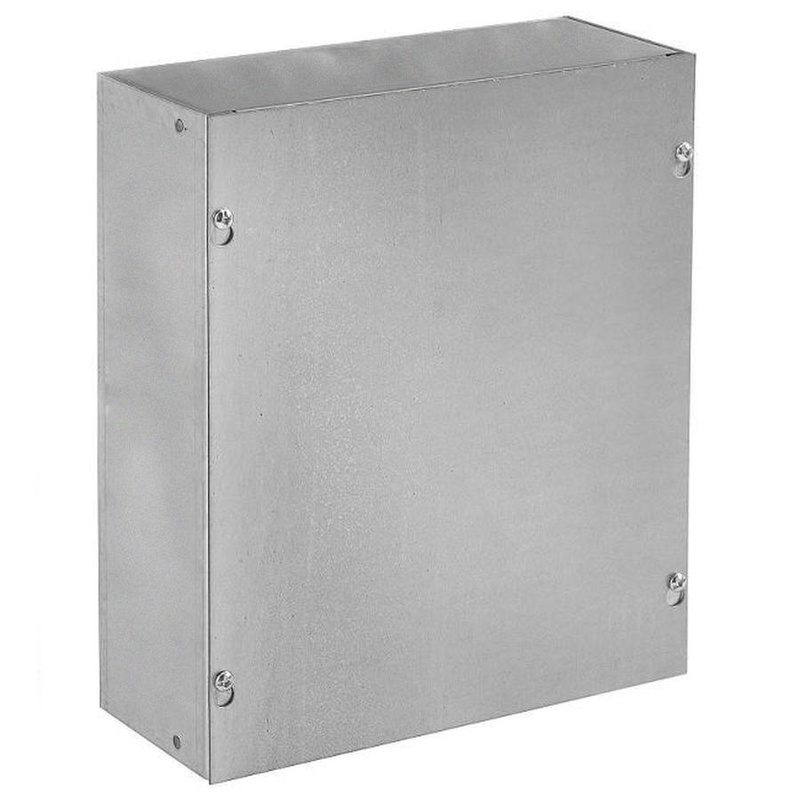 Hoffman Screw cover junction box is ideal for commercial and general industrial applications that require junction or pull box. It features 16-/14-/12-gauge steel construction and ANSI 61 gray polyester powder paint finish. It measures 36-Inch x 36-Inch x 12-Inch. This NEMA 1 rated junction box is wall mountable. It offers IP30-degree of protection. Different sizes of easy to remove concentric knockouts on all four sides of standard boxes. Junction box is UL listed, CSA certified and meets IEC standards.